I can't finish a single REST tutorial without wanting to flip a desk! You don't need to become the world's leading expert on HTTP, you just need to learn how to make APIs that other developers will understand. But every time you try, the tutorials make you feel like you're not smart enough to work as a developer. They make you feel like a fraud! They might as well be written in a language from half way around the world. And worst of all, some people will put you down and ignore your questions simply for having the nerve to ask them. You are not a fraud, you're just using bad tutorials. First you were scared to learn REST because it seemed like there was SO MUCH to learn. What is an RFC, anyway? Who is Roy Fielding, and why does that matter? What's a mime type? What am I going to have to know before this will make sense? But everyone says REST is simple, so you set your fear aside and face the challenge. You start one tutorial, and another, and another, but the unexplained jargon is enough to drive even Mr. Rogers into a sweater-ripping, trolley-kicking, shoe-throwing rage! They start talking about nouns and verbs and you're left wondering what 3rd grade reading class has to do with making APIs. Either you gave up completely, or you gave up trying to learn the academics and best practices and did the best you could by feeling around in the dark. That experience could be helpful in deciphering one of those tutorials you hated, but do you really want to go back to that dark place? My short ebook skips the academic "you have to learn every detail!" approach and teaches the vocabulary in simple terms. 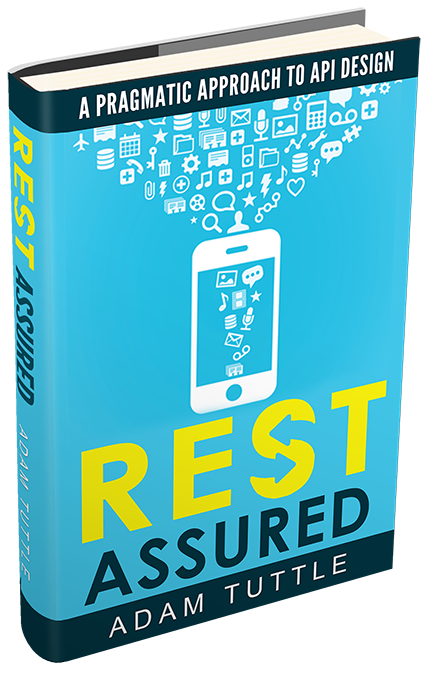 Learn only what you need to know to make functional, secure REST APIs. And best of all, you can learn it all in just a couple of hours. Master the vocabulary with simple explanations. Get to work today: Fundamentals first, clearly, and succinctly. Everything you need to know about securing APIs. Packed with best practices learned from more than a decade of experience. It's mercifully short! Just because it's a book doesn't mean it should take a week to read. Having decided to read the first chapter now, just to see what I'm getting myself into, I read the whole thing. I absolutely could not put this book down. It's refreshing to see a book focusing on pragmatism over dogma. Will this book finally make it click? When something is supposed to be simple, but the explanation doesn't make sense, it's incredibly frustrating! You wonder, "Is the tutorial to blame, or am I?" Everyone feels this way sometimes, but it's not your fault. It's definitely the tutorial! Explaining things well is hard, especially after you're good at them! It's called the Curse of Knowledge: Once you master a topic, your brain packages up the concepts and allows you to think in abstractions. When you later try to explain those concepts it's hard to see that you're using an abstraction, because your brain automatically unpacks it for you without you ever noticing it was there. This is what makes so many tutorials —for everything— so infuriating! When you feel like a paragraph was accidentally deleted from a tutorial, that's the curse of knowledge showing its ugly face. There is something missing and the author is either unaware, or worse, unwilling to add it. If you hit a moment like that in my book then I have failed at its one mission. Tell me about your frustration with my explanation of a concept (just reply to the confirmation email! ), and I will work with you to improve it and publish an update. If I can't do that then I will refund your money. I've been selling this book for more than 5 years, and nobody has ever asked me for that refund. A very straightforward explanation of all things REST that was easy to understand and more than once had me chuckling. It's a well thought out quick read with great examples from a true industry professional. You're already doing some REST, you just didn't know it. Security: Basic Auth, SSL, API keys, OAuth, CORS, and JSONP. Best practices for functional, clean, secure, and standards-compliant APIs. Too many to list here! In addition to teaching you what makes an API RESTful, I'll also teach you why we do things the way we do them. Spoiler alert: the answer is almost always "don't reinvent the wheel." And just in case you want a deep dive too, there are two appendices to satisfy your curiosity: One with the history of REST, and one that explains raw REST HTTP requests and responses in great detail. I frequently used to ask, "How is REST any better? I just don't understand." Adam answers that question in a very clear and concise manner, with the right amount of humor to keep it interesting. Anyone who builds APIs, or will, needs this book on their shelf. Still not sure? Read the first chapter for free. I believe that REST Assured is the best beginner-friendly explanation of REST available, and I'm willing to put my money where my mouth is. If you don't learn what you need to from my book, just let me know by replying to your confirmation email and I'll refund your purchase. I would rather refund your purchase than have one unhappy customer. Not only that, but I want you to be sure you want this book before you open your wallet, so I'm making the first chapter available free of charge. Finally! REST for the rest of us! Adam has produced a straight-forward, concise, and pragmatic explanation of one of those concepts that everybody thinks they know, but very few take the time to really understand. He takes the concepts from "perfect world" academic REST to, "How do I make that work with the %^[email protected]! mess that is my data source?" Is there a print edition? Not yet. Maybe someday, but don't hold your breath. If I ever do release a print edition, I will give a big discount to people who bought the digital edition. What kind of files will I get? MOBI, EPUB, and PDF. That means you can read it just about anywhere. You can read it on your Kindle or other eReader, your computer, your iPad or phone. Does it have any DRM? Oh heck no. I believe that DRM is the wrong solution to the problem of piracy, and I have released this book without any form of protection other than this reminder that if you share this file you are taking money out of my pocket, which is kind of not awesome. How do I get any updates? Updates are sent by email to all buyers when I publish them. The book is currently at version 2.0. Hi! 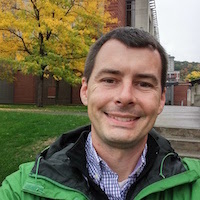 I'm Adam Tuttle, developer and Chief Technology Officer at AlumnIQ, and I'm a passionate programmer living near Philadelphia, Pennsylvania, USA. I've been teaching and mentoring since 1999, if not earlier. I have presented at conferences, contributed to training courses and magazines, and appeared on podcasts — always to talk about REST. I created the most popular REST framework for CFML, back when CFML was still somewhat relevant, and that framework continues to be popular in the CFML community today. While working on and supporting it, I learned a lot about teaching the how and the why of REST, and I created this book to compile all of that knowledge in one place.